I have seen multiple pins on pinterest for making tile coasters. I decided to make them for my best friend, my brother and a set for myself. They are so super easy to do. And cheap, too. 1. 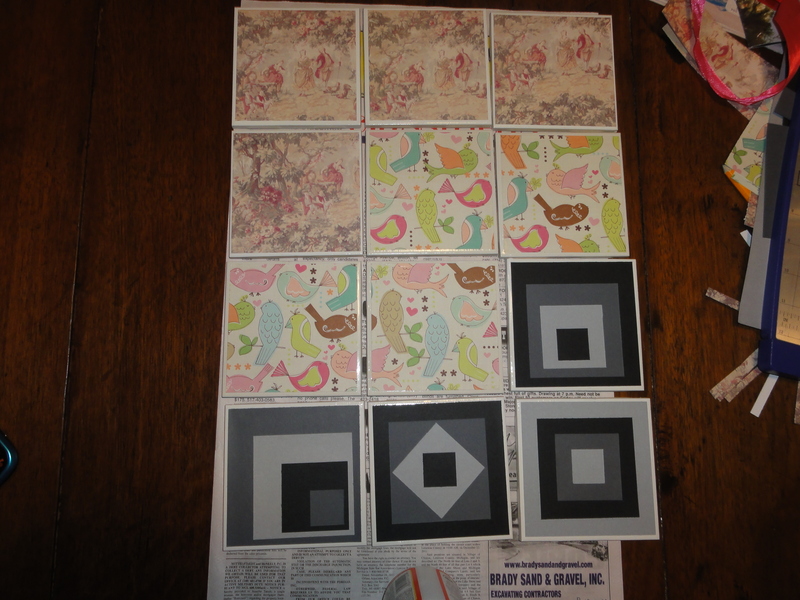 Cut scrapbook paper into 4″ x 4″ squares. 2. Lay out newspaper to work on. 3. Working on one tile at a time; coat tile in mod podge. Lay paper on top, making sure it is centered. Using finger, rub paper to ensure the are no bubble in paper. Once the mod podge starts to dry, do not attempt to move paper, as it will tear. 4. After tile has dried, apply coat of mod podge. Repeat 4-5 times, allowing tile to dry in between. It took my tiles about 20 minutes to dry after each application. 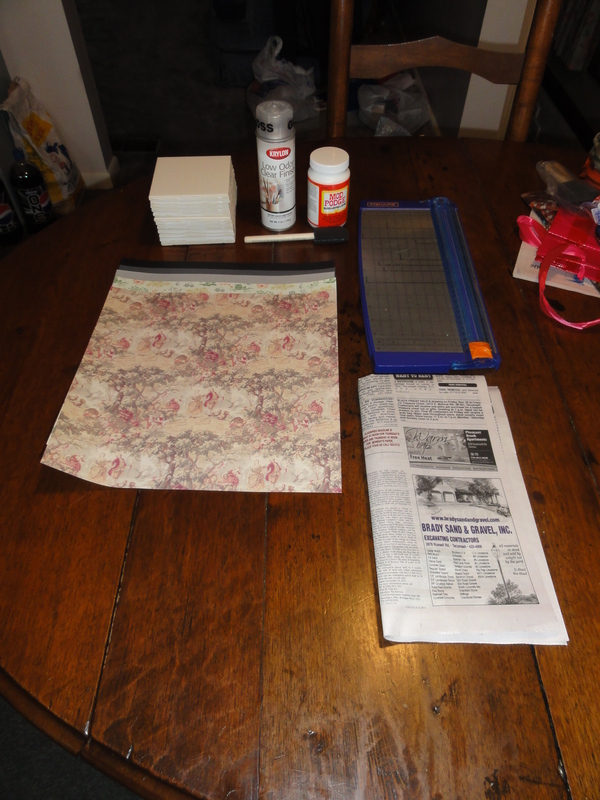 After tiles have set, apply rubber cement to backs of tiles and attach felt squares. Allow to dry. Once the tiles are dry, there are two choices. They can be used immediately for cold drinks, but you will have to wait approximately 30 days to use them for hot drinks. According to the bottle of mod podge, it takes approximately 30 days for the mod podge to fully cure. Or you can spray with sealant and once dry, they can be used for all types of drinks. The choice is yours. I decided to allow them to cure on their own, as I have heard that the sealant has a strong odor to them. The toile are for my best friend. The birds are for me. The grey and black are for my brother. I hope that y’all give these a try.